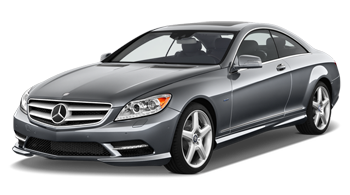 A Mercedes is one of those vehicles that just make you feel great as you operate the vehicle. They are just one of those vehicles that when you drive it, you know people are watching as your stylish piece of machinery drives by. These vehicles are sophisticated, elegant machines that were produced with nothing but the best of quality. If you want top notch quality, you want a Mercedes. Even though they are quality vehicles, you have to keep them maintained in order to maintain that quality. That’s a reason why Mercedes suggests an inspection known as the Service of Mercedes vehicles. Bring your vehicle to EuroCare in Missouri City if you have a Mercedes and it’s time you have a Mercedes B Service check. Typically, you should have this check every year you own the vehicle or when you hit the 20,000 mile mark. So, if you have hit either of those milestones, it’s suggested by professionals to have a Mercedes B Service check as soon as you possibly can. If you need this service, you can give us a call and we’ll be more than happy to work you into our schedule. Before you know it, the check will be finished and you’ll be able to cruise down the road with confidence in no time.